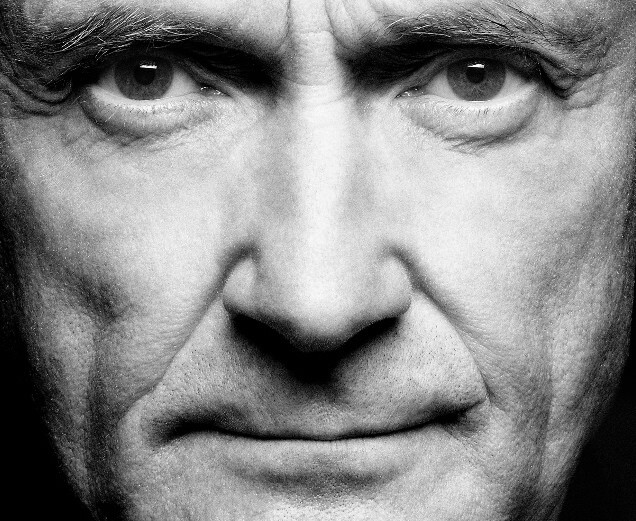 Throughout his long career, Phil Collins always gotten a bad rep, rather unfairly, for a couple of things: replacing Peter Gabriel in Genesis; playing a considerable part in turning Genesis from a cult progressive rock band to a hugely successful pop group; and for churning out accessible solo hits bordering on adult contemporary. Such glib perceptions of his career are off the mark: beneath Collins’ every-man persona is an artist of versatile depth both musically and lyrically. Yes there’s no hiding the fact that during the ’80s and early ’90s Collins ruled pop radio with numerous hits such as “In the Air Tonight,” “Sussudio,” “One More Night,” and “Easy Lover.” (The fact that his solo success coincided with his work with Genesis is even more remarkable for this workaholic)–but they only tell part of the Phil Collins story. That’s what the reissues of his solo albums– part of the singer’s Take a Look at Me Now campaign–look to do, featuring not only the original albums but also demos, live tracks, B-sides, and even revised recreated cover art. The campaign recently kicked off with the re-release of Collins’ 1981 debut Face Value and 1993’s Both Sides. Of Collins’ first five solo albums, Both Sides didn’t achieve greater commercial success following its original release in 1993, other than the title song and the ballad “Everyday.” And that’s why the reissue campaign serves it purpose in reevaluating some of the more underrated aspects of Collins’ works. Both Sides is notable in that Collins played all the instruments himself on the record (he has said in the liner notes that Both Sides is his favorite for that particular reason). Unlike No Jacket Required and …But Seriously, Both Sides didn’t score the big hits as the lyrics were far moodier and reflective. But that’s probably what distinguishes Both Sides, which serves more of a personal statement than a commercial one. By not means is it short on some strong songs—among them include“Can’t Turn Back the Years,” “Can’t Find My Way,” “Please Come Out Tonight,” and the serious “We Wait and We Wonder.” Similar to that of the Face Value re-release, this new edition of Both Sides also features live performances of the album’s tracks as well as his own shimmering version of “Hero,” a song that ended up on David Crosby’s 1993 album Thousand Roads.